Should I Fix A Cavity In My Childs Tooth? In the video below, Dr. Steven Pike explains three scenarios to address the question of whether or not to fix a cavity in your child’s baby tooth. Hi, this is Dr. Steven Pike. 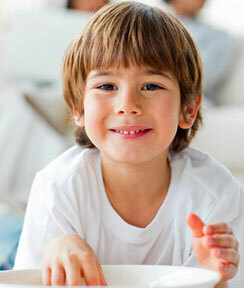 Today’s question is, if my child has a cavity in a baby tooth, does that cavity need to be fixed? The quick answer is: It depends. Let’s go through a few situations which are relevant. Let’s say it is a small cavity on a baby tooth which is going to fall out in a year. In that situation the tooth will probably fall out before the cavity ever becomes a problem. Some other things to consider is if you have a cavity and you make changes to brushing and to your diet, you may not need to fix that cavity. It may just stop growing and never become a problem before it falls out. Another thing to consider is that you may have a cavity but it’s on a tooth that is going to be around for 6 more years and it may be a cavity that we suspect is going to grow. In that case it’s much easier to fix a small cavity than it is to fix a big cavity so you would be better off fixing the small cavity. If this is something that you have experienced please feel free to come by for a visit or email our office with a question. We would be delighted to help you out with this situation. If you’re in need of pediatric dentist to examine your child’s cavity, please give us a call at (503) 297-1711. We would love to be of service!